Air pollution at 66 Tower Hamlets primary schools breached EU limits for nitrogen dioxide in 2010, a report published earlier this year revealed. 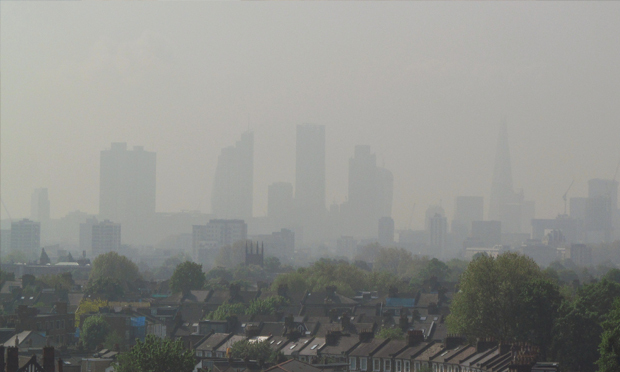 Setting out figures for each London borough, it found that deprived parts of the city, such as Tower Hamlets and Hackney, suffer greater exposure to air pollution than richer neighbouring boroughs. Looking back to Victorian times, with East London the centre of heavy industry and the greatest concentration of slums, one might say it was forever thus. But back then, and until the early 1960s, air pollution in the form of fog was a more visible and pervading presence in the lives of Londoners. Dr Christine Corton of Wolfson College, Cambridge, is the author of London Fog –The Biography. “The wind direction in London tends to be from west to east, so the East End had a lot of industry puffing out smoke and houses that used open fires. But it was also getting the smoke from the West End because of the wind direction,” she says. Corton tells me how London’s fogs changed the very nature of city life, creating worlds of anonymity and providing cover for crime. “The East End was very much seen as the dark continent,” Corton says. Fictional depictions of events such as the Jack the Ripper murders always seem to be shrouded in fog, even though none of the murders took place on a foggy night. The fog was a versatile metaphor for writers, appearing in the works of T.S. Eliot, Oscar Wilde and Charles Dickens as well as in paintings by Whistler and Monet. The fog’s various nicknames – ‘London Particular’ or ‘pea-souper’ – prove that it captured the general public’s imagination too. Manchester, Birmingham, Leeds and other industrial cities also had smoke problems, but only in London did residents actually feel quite proud of the fog. A smoky street was a sign that industry was booming and that people could afford coal on their fire – which through most of 19th century was most people’s only source of heat and light. “Whenever I talk to people who remember the 1950s fog there’s also nostalgia that somehow the London Fog created a warm reassuring environment,” Corton says. “The smell, although sulphurous, felt somehow nutritious, which is why fog is often talked about in food terms. This ambivalence towards the fog contributed to its staying power. Corton says that, starting from the 1820s, unsuccessful attempts were made every decade to clean up London’s air. The smog of 1952 was the real catalyst for change. Labelled the Big Smoke, this severe air-pollution event lasted five days and was the cause of 12,000 premature deaths, according to a recent study. “People had just fought a World War and I think they said we didn’t fight a World War in order to kill ourselves with the air we breathe,” Corton says. The fog began to dissipate after the 1956 Clean Air Act was passed, introduced as a private members’ bill by the Enoch Powell-supporting Conservative MP, Gerald Nabarro. It was strengthened in 1968 by another Act of Parliament, this time sponsored by Robert Maxwell. But whilst the fog might be a very distant memory to some, air pollution in East London today is a present – though less visible – threat to public health. “They reckon now that 9,000 people die every year from London air pollution,” says Corton. “For 150 years at least, people knew the air they were breathing was bad for them. I would take that and say let’s look at the automobile, which we now are so in love with that we can’t envisage using all the time. In a way it’s a parallel to our love of the coal fire.